Ages ago, along the western cliffs of Ireland, Patrick Conneely buried a sacred item within the roots of a whitethorn tree near the ancient fortress of the O'Malley clan. This long-lost treasure relates to the selkies - the mythic creatures of Celtic folklore who shed their skins on shore to become human on land; when they return to the sea with their sealskins, they revert to being actual seals again. Selkies are the stuff of legends to this day, and Clare Austin's novel weaves in contemporary moral struggles, economic challenges and tortured romance onto a magical landscape laden with selkie lore. What could be better?Muireann O'Malley knows that a planned industrial fisheries project will devastate the coastal area around her home, killing many birds and seals. 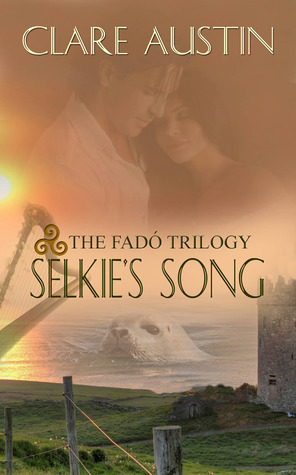 Muireann's mother is a Conneely, and old legends hold that the Conneelys'ancestral kin were selkies. Meanwhile in Boston, Tynan Sloane (from Ireland) is planning to buy a bar with the proceeds from the sale of property in West Clare, Ireland, left to him by a deceased relative, Albert O'Malley. Albert had told Muireann that the key to saving the place was buried there. And so, in lovely bursts of descriptive, melodic prose, Austin deposits Tynan back in Ireland where he encounters his old sweetheart, Muireann, who is unaware of the purpose of his visit. She soon learns that he is the unknown someone with a claim on the old place, and that he wants to sell it to the fisheries consortium. At this juncture, readers must prepare for total immersion into the complex mysteries of contemporary western Ireland - a region where the ancient world is merely steps away. That Irish ThingSo I gave this book a rating of 3 stars because overall I enjoyed the story but the Irish thing was just a bit much for me. I understand the author was probably trying to be as authentic as possible towards the Irish part of the story but the accent/dialect just put me off a bit. I would definitely recommend this book to others but warn them on the Irish thing. On another note I must say I enjoyed learning about Ireland.